Have you discovered TKB Trading yet? If not, you totally have to check them out for budget-friendly beauty. They have a bevy of pigments, micas and glitters with fantastic pigmentation and texture, and some of which are exact dupes for MAC Pigments. Teaspoon-sized "samples", which are pretty much all you need as that is a lot of product, are $1.50, and sizes go up from there. Shipping is really reasonable and they ship internationally! 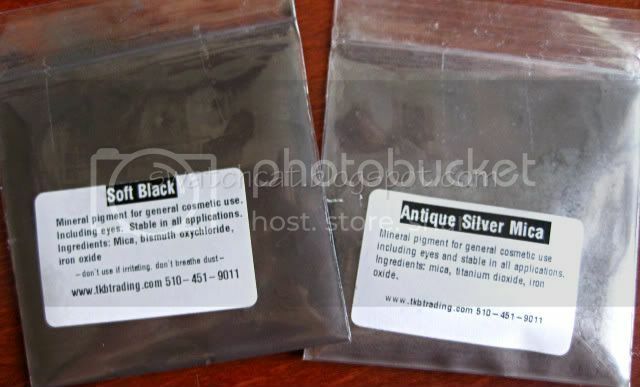 I use these for everything from eye shadows to using in frankening nail polishes (custom-making my own nail polishes). These are so inexpensive that I don't worry if something turns out bad, like I might if I used my expensive MAC Pigments. 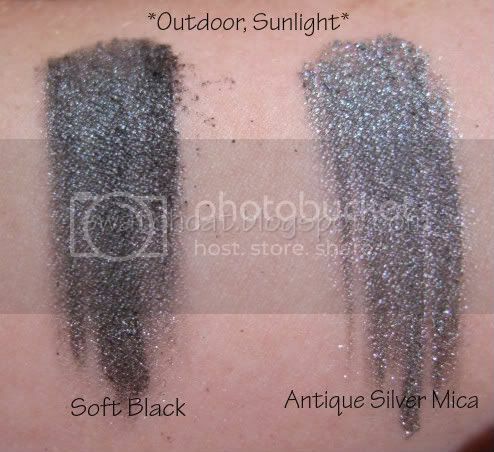 I definitely wouldn't call these pigments and micas "cheap" since that speaks more to quality. 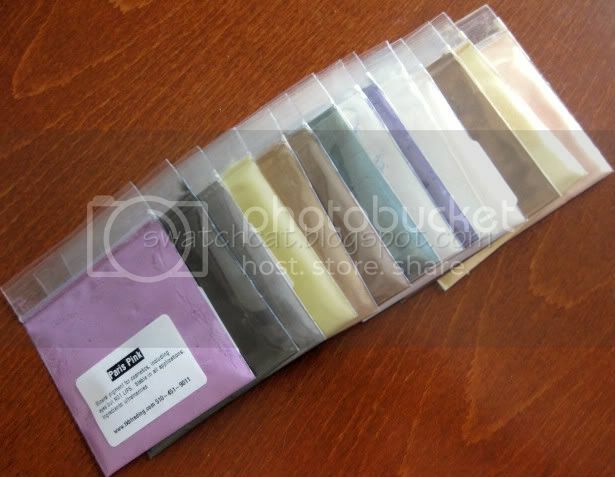 TKB pigments and micas are really great quality. Some I'd say are even better than MAC! See plenty of swatches and comparisons after the jump. Paris Pink is a near exact dupe for MAC Cool Pink, but it doesn't have that strong white base. Of all the pigments and micas I received, the description of Paris Pink I thought was most off. It was described online as a yellow-pink, but it definitely looks more blue-pink to me. 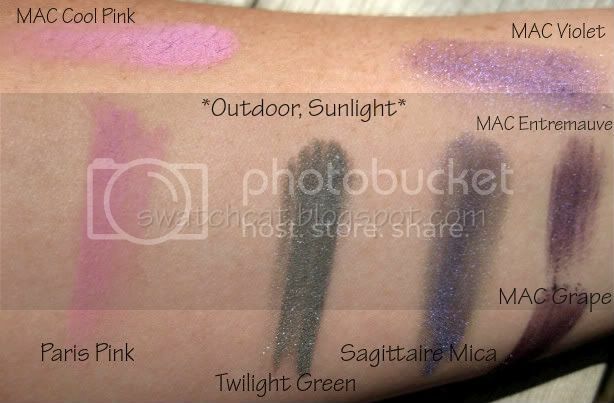 Neither Twilight Green nor Sagittaire Mica have a dupe to be found in MAC, although Antique Green might be close to Twilight Green. 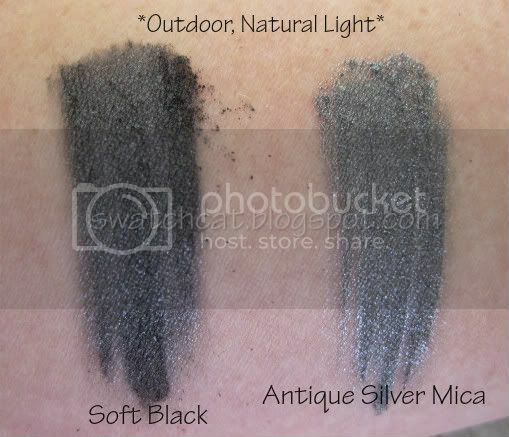 No MAC dupes here! These two colors are completely unique, and super pretty, I might add. No exact dupes with this grouping, either. 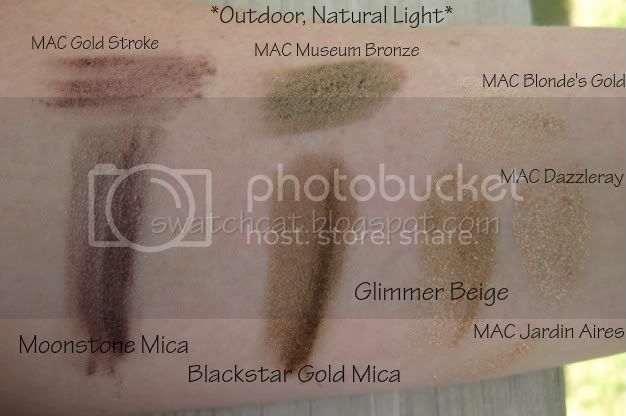 MAC Gold Stroke has more red in it than Moonstone Mica. 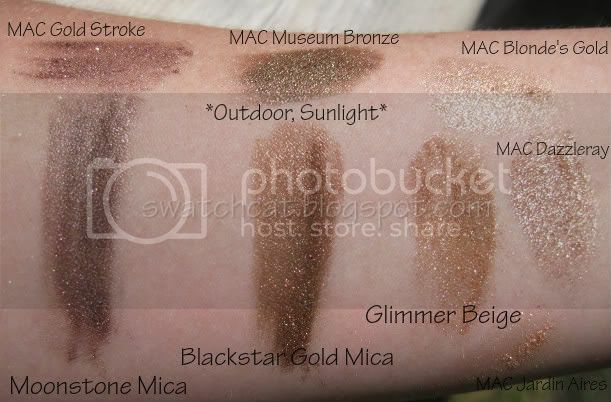 MAC Museum Bronze has more green than Blackstar Gold Mica. Glimmer Beige is deeper and more honeyed-gold than MAC Blonde's Gold, Dazzleray, and Jardin Aires. The only thing I don't like about these is that they come packaged in little plastic baggies. But the quality is so fantastic, I can overlook that aspect. I have a long wishlist, so you can expect more swatches and comparisons in the future. Plus, they're adding new colors all the time. 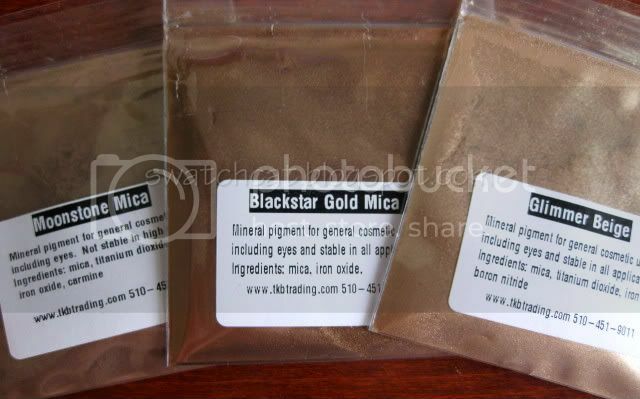 You can purchase TKB pigments, glitters and micas at www.tkbtrading.com. These get a big 5 paws up! 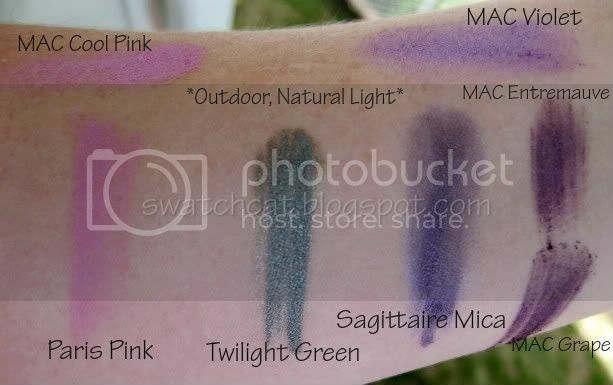 I'd like to suggest: perhaps Black Amethyst or Patagonian Purple as the dupe for MAC's Entremauve or Grape?